If you raise meat rabbits, you probably have lots of rabbit liver. 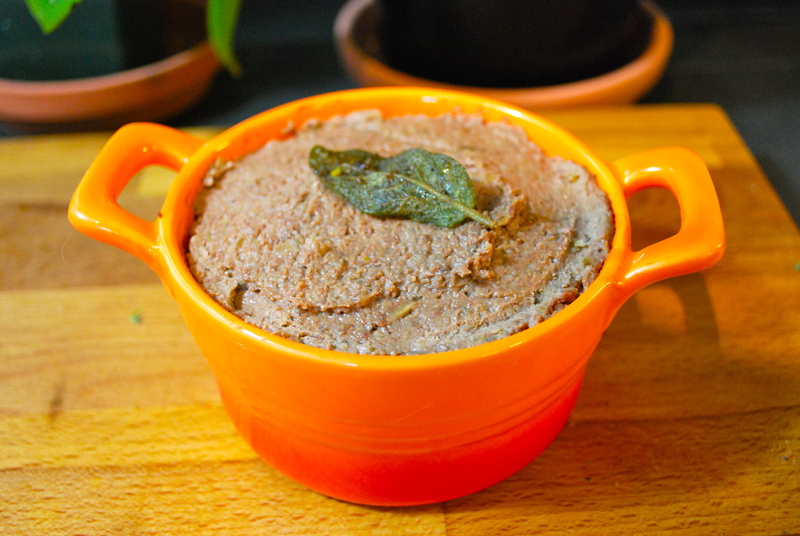 I like sauteed fresh livers with crispy fried sage and garlic, but with a little extra effort you can make a delectable and creamy liver pate. The proportions are not so important, but I find that using my copper pan makes a better tasting pate than non-stick. Add butter to a copper saute pan on medium high heat. Salt and pepper your rabbit livers on both sides and saute for about 1-2 minutes per side. The centers should still be pink. Slice garlic and add to pan when you have about 2 minutes cooking time left. Remove livers when done and set aside. Add cognac to garlic in pan and cook for another 2 minutes. Remove from heat. Add livers, garlic and pan drippings to a food processor. Pulse until very smooth and add more salt if required. Serve warm or cold with toasted baguette rounds. Can also be frozen. Serves 4. Enjoy!